The beautiful glossy rainbow weevil from the Philippines is unique for the spectacular rainbow colored spots on its thorax and forewing. These circular spots produce all the colors, and in the same order, as those found in a rainbow in a series of successive rings. Many insects exhibit the ability to produce different types of colors, but it’s unusual for one to exhibit such a vast spectrum. As noted in the research paper, “the lattice parameters of the biologically self-assembled single diamond nanostructure are varied to achieve the remarkable tuning of the structural colors across the visible light spectrum on a scale-by-scale basis.” These light-altering structures form during development in specific regions of the insect’s exoskeleton scales by the complex folding of cell membranes and the deposition of a hard compound called chitin. 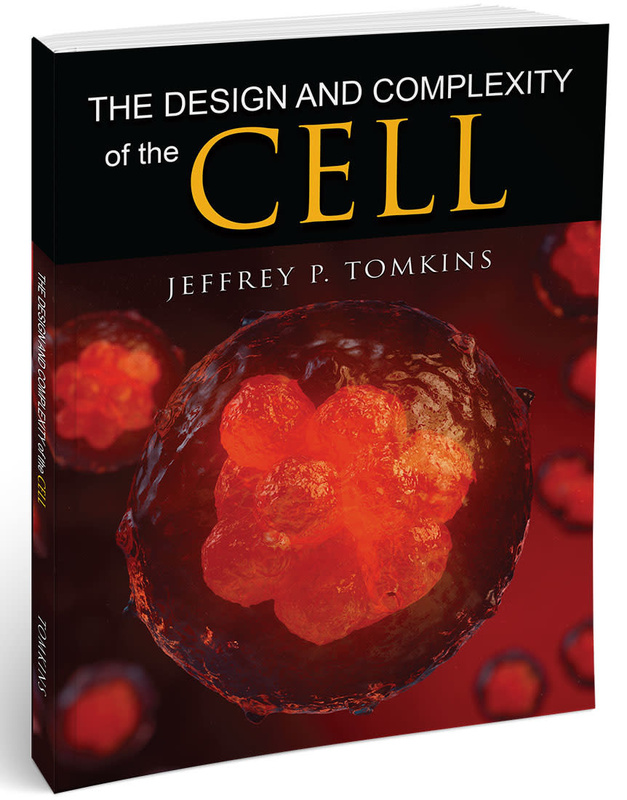 This process is then followed by a highly specified program of cell death that leaves behind solid chitin-based biophotonic nanostructures. Evolution has no power to explain a single trait like this, much less an entire weevil. The whole process that produces these amazing photonic nanostructures that scientists have struggled so hard to understand involves a whole cascade of integrated cellular developmental routines involving hundreds of genes. 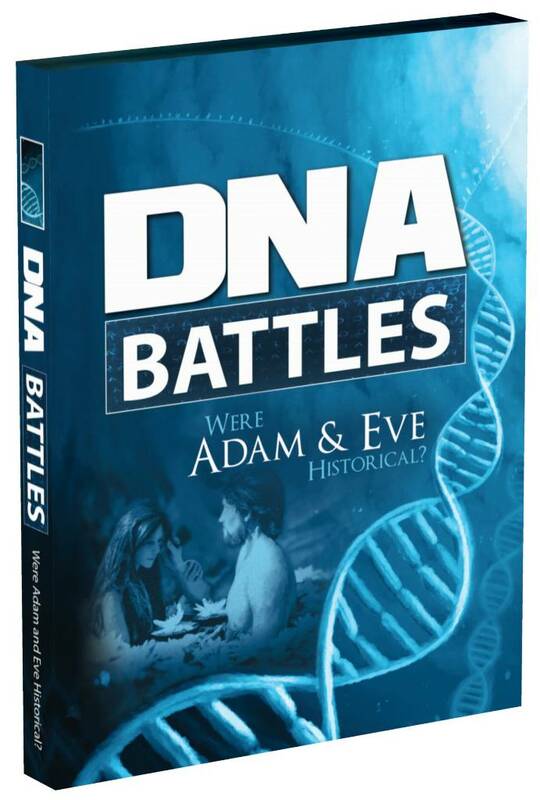 How could an unbelievably complex trait like this possibly evolve bit-by-bit through the mythical neo-Darwinian mechanism of mutation and selection? And what would possibly be the so-called “unit of selection” if it even could? Evolution has no power to explain a single trait like this, much less an entire weevil. These striking and vividly beautiful examples of animal traits that push the physics of light to amazing limits give glory to our mighty Creator God who engineered it all. 1. Wilts, B., and V. Saranathan. 2018. A Literal Elytral Rainbow: Tunable Structural Colors Using Single Diamond Biophotonic Crystals in Pachyrrhynchus congestus Weevils. Small. doi.org/10.1002/smll.201802328. 2. 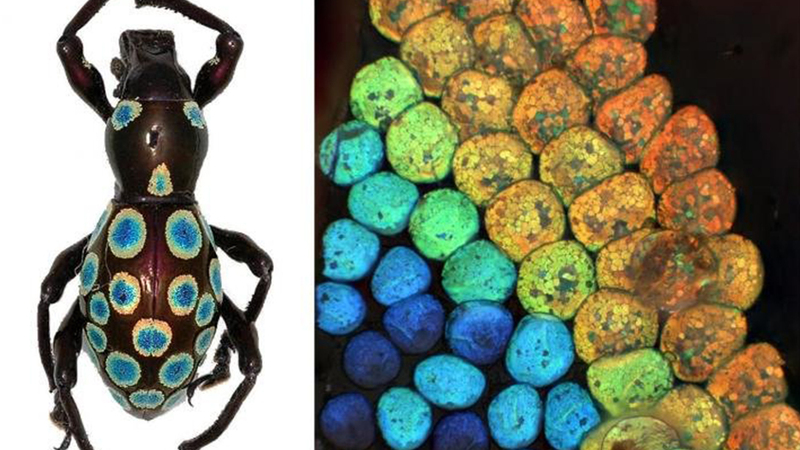 New colour-generation mechanism discovered in “rainbow” weevil. Yale NUS College Press Release. Posted on yale-nus.edu September 11, 2018, accessed September 17, 2018.